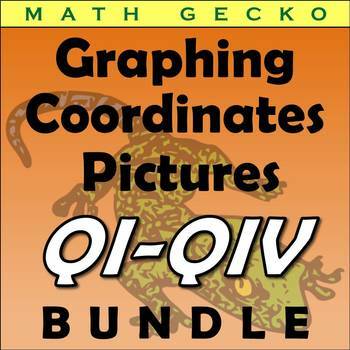 This bundle includes six Graphing Pictures using coordinates from Quadrants I-IV. 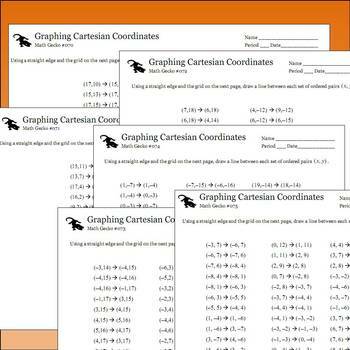 Each picture uses specific quadrants so you can introduce graphing positive and negative values gradually. 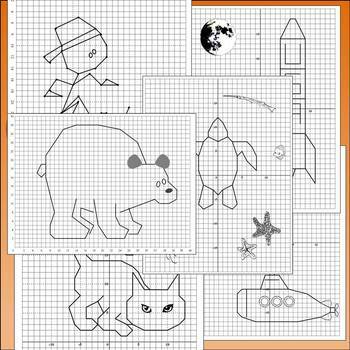 Students draw line segments between coordinates as instructed to reveal the picture. No curved lines are used, nor is any spcecial artistic ability required. 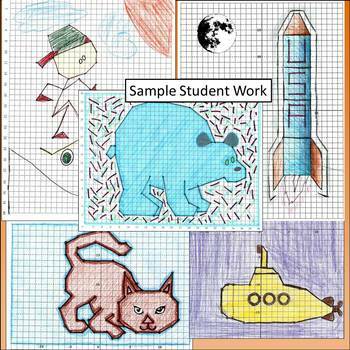 Students often color in the finished picture or add picture elements themselves for a little more fun.